At their August 21 meeting, the Provo Municipal Council approved an ordinance (4:1) that moves the start time of their regular meetings Council Meetings from 7:00 pm to 5:30 pm (held on the 1st and 3rd Tuesdays). The approval also eliminated the need for the Council to hear issues twice (once at an afternoon study meeting and then again at the regular evening meeting). The change will go into effect at the September 4, 2012 Council Meeting. For most issues, the sparsely attended afternoon study meeting proved to be redundant and doesn't allow the public to be present for the presentations and discussions that are held there. Moving all the issues that are up for consideration to the evening meeting will increase government transparency by allowing the public an enhanced opportunity to hear all the facts, speak during public hearings and hear the subsequent Council debate. 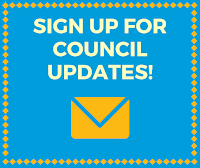 As more items will be discussed in the evening meeting, the earlier start time will help the Council to retain a reasonable end time to their meetings. General information presentations will be held first with public hearings placed later on the agenda so that more individuals may participate in the discussion. The changes should reduce the number of hours that City staffers are required to attend meetings (some of whom are on hourly wages), thereby increasing efficiency and saving taxpayer money. The Council will retain the ability to continue issues to future meetings if they believe it is in the best interest of the City. 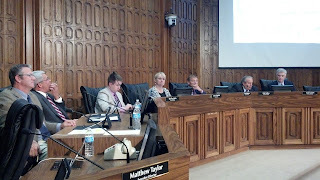 Council Member Kay Van Buren voted against the proposal. “I supported the reasons for the change but had hoped that we could have established a 5:00 pm start time as originally proposed.” Council Members Hall Miller and Gary Garrett were attending to other commitments and were excused from the meeting. I guess I can understand 5:30PM but the only reason for a City Council to have meetings before 5:30 or 6:00 would be to avoid possible public scrutiny. The integrity of any public official who favors a 5:00 start time should be called in to question.